Anu has worked as a specialist veterinary ophthalmologist in Melbourne since 2003. She is currently the Secretary of the Ophthalmology Chapter of the Australian New Zealand College of Veterinary Surgeons and is a current examiner. Her special interests include corneal and glaucoma surgery and systemic disease affecting the eye. Anu is passionate about Equine Ophthalmology, and is a member of the International Equine Ophthalmology Consortium. 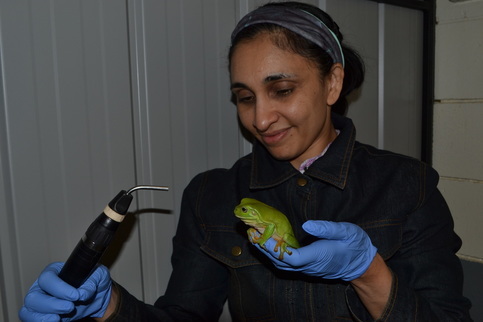 She has become widely experienced in Exotic Ophthalmology and is a consultant for the Royal Melbourne Zoo.